As you may recall, I have advocated using WPCs supported by a mother ship to supplement the larger cutters for distant drug interdiction operations. The U.S. Coast Guard has has done cooperative counter drug operations with the Dutch Navy in the past. Early last year, the Netherlands OPV Zeeland embarked both a CG LEDET and a CG helo det. 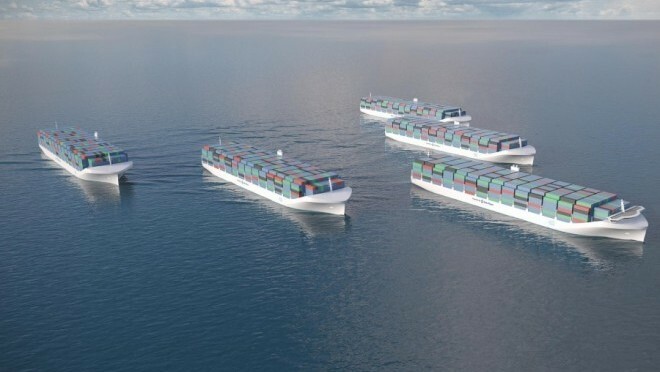 Perhaps we could run a test using the Johan de Witt or her sister ship Rotterdam to try out the mothership concept. Their crew size is similar to that of the National Security Cutters (less than that of the Hamilton class), but they have berthing for hundreds more. They have aviation facilities for up to six helicopters. They can handle boats from both davits and a well deck. They have excellent Command and Control facilities. That could make them welcome in a lot of ports. Would the Dutch be interested? The Dutch Navy has already demonstrated its commitment to counter-drug trafficking. They have used these ships several times for counter-piracy. Counter-drug operations are not that much different, and piracy seems to be in decline. 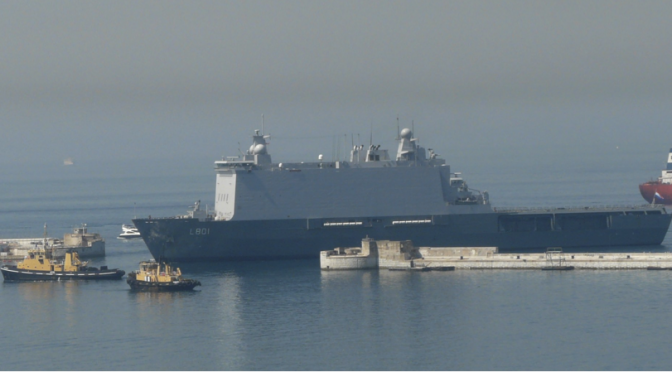 When it was being finished, there were reports that the Dutch wanted to sell the Johan de Witt. Operating off Latin America might be seen as an opportunity to demonstrate both this class and the Netherlands’ ship building expertise in an international market. What might the experimental effort include? In addition to the mothership, perhaps three MH-65s, add a mix of Webber class WPCs, WPBs, Response Boat Mediums (RB-M), and Navy Riverine Command Boats (the U.S. Navy version of the Combatboat 90). In addition to its counter-drug objectives, the deployment might be seen as a partnership station effort, training as well as working with the locals, and if there should be a natural disaster while they are in the area, it would be a ready-made Coast Guard response. This post can be found in its original form on Chuck Hill’s Coast Guard Blog. What could be the trend lines for 2015 in the Indian Ocean? A quick survey of events, incidents and trends in the Indian Ocean during 2014 suggests that the region witnessed cooperation, competition and inclusiveness among the littoral states. Three baskets could be identified: geopolitical, geostrategic and geo-economic, to help forecast trends in 2015. However, a caveat is in order i.e. these baskets can spring a number of surprises, given that ‘prediction is a risky business’. In the geopolitical domain, the region remained peaceful and pan-Indian Ocean multilateral organizations such as the Indian Ocean Rim Association (IORA) and Indian Ocean Naval Symposium (IONS) were proactive and provided the platform and leadership to address issues of common interest among the partner states. The Perth Communiqué released in September 2014 reinforced the Association’s commitment to ‘building a more stable, secure and prosperous Indian Ocean region’ and promote the IORA’s six priority areas of cooperation. The regional navies met under the IONS banner and addressed a number of common security issues confronting the region. Later in 2015, the IORA baton will pass from Australia to Indonesia who would continue to carry the great work done by the earlier Chair – India. The new government in Jakarta led by President Joko Widodo has endorsed the importance of maritime matters through the establishment of a new Coordinating Ministry for Maritime Affairs and announced the doctrine of ‘global maritime axis’ (poros maritim dunia). In addition, South Africa, the next Vice Chair of IORA, will prepare to take the leadership role in 2017. These provide ‘continuity and purpose’ to the IORA. China would continue to make attractive offers to Indian Ocean states and seek support for the MSR. Its forays in the Indian Ocean can potentially sharpen difference between China and India and may even lead to these powers becoming more assertive. During 2014, the Indian Ocean geostrategic environment, though peaceful, was a bit tenuous. The presence of Chinese submarines in the Indian Ocean created unease in New Delhi. Though predicted, it surprised the Indian strategic community and the Indian Navy is beefing up capabilities to respond to the Chinese forays in the Indian Ocean. India was also ruffled by the Chinese Maritime Silk Road (MSR) initiative and its growing popularity among a number of Indian Ocean states particularly Bangladesh, Sri Lanka and Maldives. New Delhi believes that the MSR can potentially help China consolidate its naval / maritime strategy of access and basing in the Indian Ocean in support of PLA Navy’s future operations. The US will continue to be the strategic anchor and security provider in the Indian Ocean and its role welcomed by the regional countries to ‘correct security imbalances, challenge the hegemony of any dominant power and ensure regional stability’. Likewise, the UK decision to permanently position a number of power projection platforms in the Persian Gulf prompted New Delhi to recall the idea of Indian Ocean ‘Zone of Peace’ and withdrawal of extra regional naval powers from the Indian Ocean. One of the important positive developments in the Indian Ocean was the near total suppression of piracy in the Gulf of Aden / Somali coast. It took eight years for the naval forces from nearly two dozen countries including a number of UN Security Council resolutions, to send pirates back home. 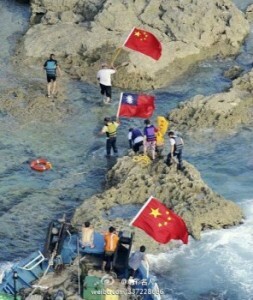 However, another ugly face of illegal activities at sea i.e. drug smuggling appears to have caught the attention of the Indian Ocean countries. 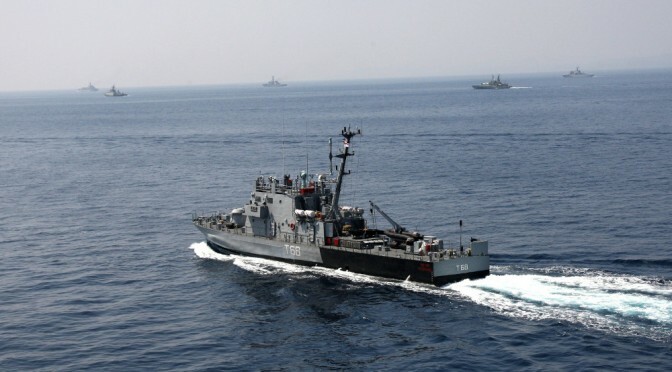 During 2014, the multinational forces operating in the Indian Ocean intercepted a number of dhows/boats carrying narcotics from South Asia bound for destinations in East Africa. Perhaps what is more disturbing is that east coast of Africa emerged popular among drug smugglers from Colombia. Kenyan President Kenyatta’s initiative to oversee the destruction of a vessel carrying about 370 Kilograms of heroin worth US $ 11.4 million in international market exhibited Indian Ocean countries resolve to counter global trade in narcotics. The rise of the Al Qaeda in the Indian Subcontinent (AQIS), the new wing of the Al Qaeda, has already raised a new threat whether Pakistan will become a haven for maritime terrorism. Will 2015 see the idea of “Blue Economy” leaping forward? The geo-economic environment in the Indian Ocean witnessed the emergence of a new concept ‘Blue Economy’ led by Seychelles and Mauritius. The idea is resonating among a number of Indian Ocean littorals including Australia, Indonesia, Bangladesh, South Africa to name a few. The leaders are committed to the sustainable development of living and non-living marine resources to enhance food and energy security. Will 2015 ensure better Search and Rescue Coordination? Perhaps the most traumatic and heartrending events in 2014 were the tragic loss of Malaysian Airlines flight MH 370 in the southern Indian Ocean, which still remains a mystery, and the more recent loss of Air Asia flight QZ 8501 in the Java Sea. These were stark reminders of the need to develop robust search and rescue (SAR) mechanism in the Indian Ocean. Yet, these incidents exhibited the Indian Ocean countries’ commitment to provide ‘public goods at sea’ and a number of navies deployed their navies for SAR. Dr Vijay Sakhuja is the Director, National Maritime Foundation, New Delhi. The views expressed are those of the author and do not reflect the official policy or position of the National Maritime Foundation. He can be reached at director.nmf@gmail.com. This article is courtesy Institute of Peace and Conflict Studies (IPCS), New Delhi and originally appeared at http://www.ipcs.org/article/china/ipcs-forecast-the-indian-ocean-in-2015-4797.html It is a precis of the larger document of the same name, that is part of the IPCS’s ‘Forecast 2015’ series. Click here to read the full report. Drug cartels today are much more organized, adaptive, and strategic. Over time, they have acquired vast financial resources that allow them to invest in technologies geared towards providing them with a strategic edge. Drug cartels have learned to adapt to a changing environment where law enforcement authorities and militaries are also seeking to find their own effective ways of disrupting the flow of illicit drugs. Technology has become a source of competitive advantage and both drug cartels and militaries have been investing in engineering and technological tools that will allow them to counteract one another. On one side, drug cartels attempt to optimize their operational efficiency while mitigating the risk of detection, seizure, and capture. On the other side, we have law enforcement and militaries’ efforts to improve their surveillance and detection capabilities. 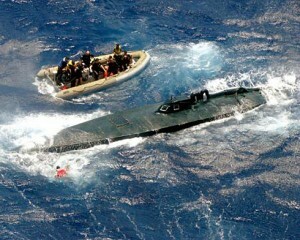 This race to out-flank and counteract one another has led to the development of narco-submarines. 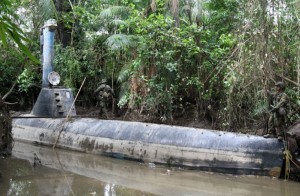 During the past twenty years, Colombia’s various drug cartels have engaged in investing in and developing narco-submarine technology that will yield a competitive edge. Over time, their increasing need to evade capture and confiscation of narcotics led drug cartels to move away from using go-fast boats and planes, and instead turn towards developing in-house, homemade, custom built narco-submarines. A narco-submarine (also called narco-sub) is a custom-made, self-propelled vessel built by drug traffickers to smuggle their goods. Over the years, their engineering, design and technology have improved, thus making them more difficult to detect and capture. Moreover, from a cost-benefit perspective, the yielded benefits are far superior to the associated costs of building these vessels. Although militaries and law enforcement agencies have become progressively collaborative in their efforts to reduce the flows of narcotics, the use of narco-submarines enables narcotics to continue to reach their destinations while reducing the probability of detection. Albeit, there have been some confiscations of narco-submarine vessels over the last several years. These appropriations in turn have led to our understanding of how narco-submarines are designed, engineered, and used to deploy narcotics. Cocaine smuggling from the Andean region of South America to the United States generates yearly revenues in the high tens of billions of dollars (e.g. 2008 UN estimate of USD $88 billion retail) and over the last thirty-five years has produced in the low trillions of dollars in retail sales. The use of narco-subs and related vessels represents one component of a broader illicit distribution strategy that also relies upon go-fast boats, airplanes, the hiding of narcotics inside bulk containers and smaller commodities, drug mules, and other techniques to covertly get this high value product into the U.S.
“Last year, we had to cancel more than 200 very effective engagement activities and numerous multilateral exercises, Marine Corps Gen. John F. Kelly told members of the Senate Armed Services Committee. And because of asset shortfalls, Southcom is unable to pursue 74 percent of suspected maritime drug trafficking, the general said. 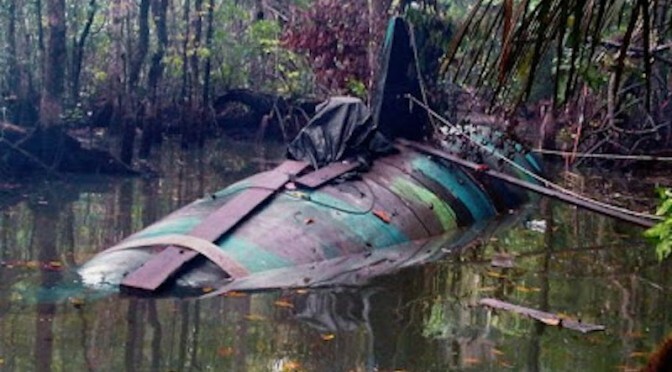 As a result, it can be seen that narco-submarines and related maritime drug trafficking methods are being carried out with relative impunity, with only about 1 in 4 craft presently being interdicted. JIATF-South detected an SPSS [Self-Propelled Semi-Submersibles] at sea for the first time in 2006. By 2009, the interagency detected as many as 60 SPSS events were moving as much as 330 metric tons per year. Prior to 2011, SPSS had only been employed by traffickers in the Eastern Pacific. However, since July 2011, JIATF-South has supported the disruption of five SPSS vessels in the Western Caribbean, each carrying more than 6.5 metric tons of cocaine. There have been a total of 214 documented SPSS events, but only 45 were disrupted due largely to the difficulty of detecting such low-profile vessels. The numbers of these vessels which now exist is also highly debatable with potentially dozens of them being produced every year by criminal organizations in Colombia such as the FARC (Fuerzas Armadas Revolucionarias de Colombia), Rastrojos, and Urabeños. One point greatly influencing the numbers of these vessels which exist at any specific time is if they are utilized once and then scuttled after their delivery (the traditional U.S. military viewpoint) or if they are utilized multiple times (the traditional Colombian military viewpoint). 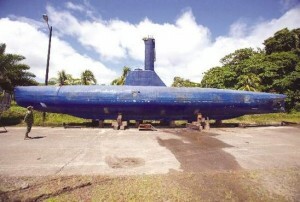 Depending on the perspective held, greater or lesser numbers of narco subs would be required to be produced each year to replenish the vessels lost due to capture, accidental sinking, intentional-scuttling to avoid capture, and, potentially most importantly, at the end of a delivery run. What is known is that the capability of these vessels has grown over the last two decades with their evolution and, if the Colombian cartels’ dream of making the journey (using fully submersible narco-subs) to West Africa and Europe is realized, such subs would very well represent a valuable cross Atlantic trafficking resource that would not likely be scuttled at the end of such a profitable illicit trade route. Given this context concerning the immense values associated with the cocaine trade to the U.S. and the large amount of these illicit drugs not being interdicted during the initial leg in their journey to the United States, we have written a paper, “Narco-Submarines – Specially Fabricated Vessels Used For Drug Smuggling Purposes”, soon to be released by the Foreign Military Studies Office (FMSO) and intended to be an initial primer on the subject of narco-submarines, that is, those specially fabricated vessels utilized principally by Colombian narco traffickers and developed to smuggle cocaine into the U.S. illicit drug market. This work is anticipated to appear in the Foreign Military Studies Office (FMSO) website as unclassified research conducted on defense and security issues that are understudied or under-considered. The work contains a preface written by Dr. James G. Stavridis, and a number of essays written by U.S. Navy Captain Mark F. Morris, Adam Elkus, Hannah Stone, Javier Guerrero Castro, and Byron Ramirez discussing and analyzing narco-submarines. The paper also comprises a comprehensive photo gallery, arranged in chronological order, which allows the reader to observe the evolution of narco-submarine technologies. It also contains a cost benefit analysis of using narco-submarines, as well as a map and a table that highlights where these distinct narco subs were interdicted. The data that we came across seems to propose that cartels have been using different types of narco-submarines concurrently; hence, they seem to be employing a mixed strategy. This study is important and relevant to the present challenges faced by law enforcement authorities and militaries. This effort seeks to add value to the existing literature on the subject as it contains several essays which describe the complexity of the challenges that narco-submarines present. The document also provides the background and context behind the emergence of these vessels. Furthermore, the work illustrates the evolution of narco-submarine technology and the advances in their design, features, and technical capabilities. Finally, it is important that we collectively consider the potential of these types of vessels to transport more than just narcotics: the movement of cash, weapons, violent extremists, or, at the darkest end of the spectrum, weapons of mass destruction. While this is a volume that will be of general interest to anyone with an interest in global security, the intended readers are military, homeland security, and law enforcement personnel who wish to learn more about these vessels and their respective capabilities. 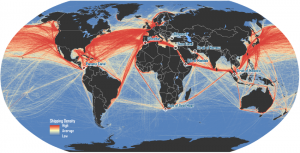 Policymakers and analysts may also find the work useful for understanding the detection and interdiction challenges that these vessels generate. Increasing the area of knowledge about narco-submarines should enrich and deepen our understanding of the threat they pose to our domestic security, and indeed to the global commons.